On what must have been the warmest, brightest and most still day of the year, came some stunning late afternoon sunlight. The optics demo day was successful with some 25+ people viewing through the best equipment on offer to date. By 4.30pm everyone had their fill, by which time the light was perfect for some eagerly awaited photography. The four shots below are the best of the day. 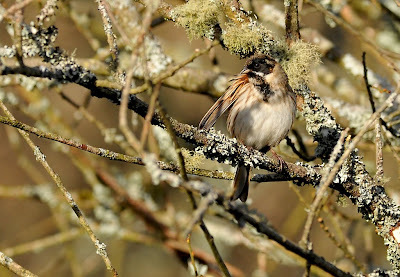 Male Reed Bunting. EXIF: Aperture Priority F/6.3 . Shutter 1/1000 th. ISO 400. Focal Length 420mm. EV -0.3. WB: Cloudy. 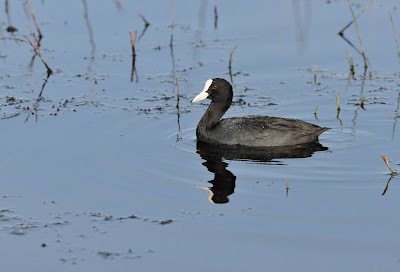 Coot. EXIF: Aperture Priority F/6.3 . Shutter 1/1000 th. ISO 400. Focal Length 420mm. EV -0.3. WB: Cloudy. 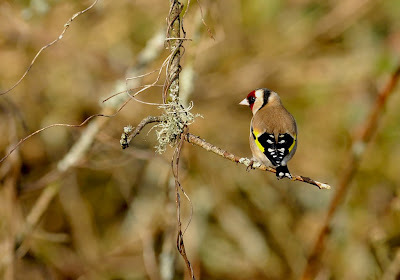 Goldfinch. EXIF: Aperture Priority F/6.3 . Shutter 1/320 th. ISO 400. Focal Length 420mm. EV -0.3. WB: Cloudy. Female Great Spotted Woodpecker. EXIF: P Program Mode. Aperture F/10 . Shutter 1/400th. ISO 400. Focal Length 420mm. EV -0.7. WB: Cloudy. Nice shots from Stiths today Steve. Pity I missed that Pecker! Still, it was a lovely weekend and a great day at Stiths. 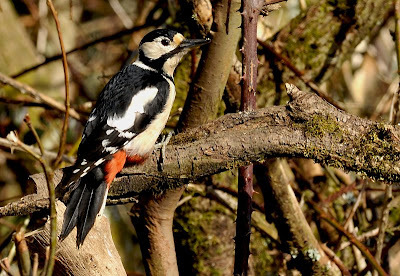 Lovely shot of a very elusive bird - I had no idea Stithians had woodpeckers - must check it out. All images are copyright of Steve Rogers - no copying without permission. Simple theme. Powered by Blogger.